Suzu is the main heroine of the story. She is an honest girl and can be very spontaneous when excited. 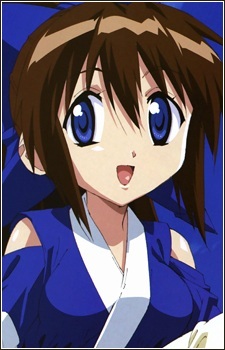 She is the first person that Ikuto meets on the island, and is possibly the closest one to him. As the series progresses, Suzu begins to develop feelings for Ikuto, but she has trouble realizing it due to her inexperience with boys. She has a pet piglet called Tonkatsu and loves sweets to the point where she can be easily bribed with them, especially with Mame Daifuku.